The 4K release of the classic film starring Kevin Costner will be available in 4K this May. 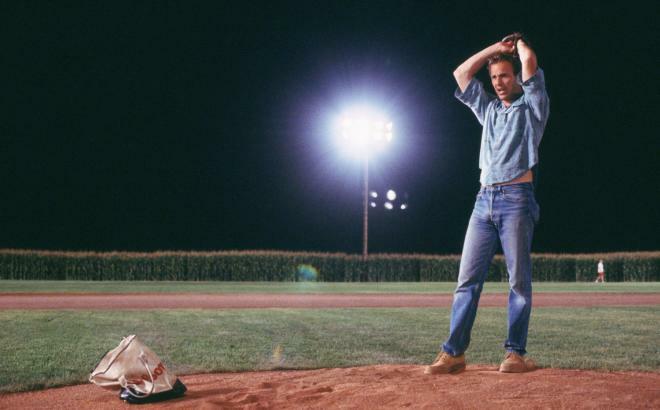 Universal is preparing Field of Dreams for 4K Ultra HD Blu-ray on May 14. Considered one of the most inspirational movies of all time, Field of Dreams is an incredible story starring Kevin Costner. "If you build it, he will come." With these words, Iowa farmer Ray Kinsella (Kevin Costner) is inspired by a voice he cannot ignore to pursue a dream he can hardly believe. Ray begins the quest by turning his ordinary cornfield into a place where dreams can come true. Also starring Ray Liotta, James Earl Jones and Amy Madigan, Field of Dreams is a heartwarming experience that has moved critics and audiences like no other film of this generation. This unforgettable film is a glowing tribute to all who dare to dream. 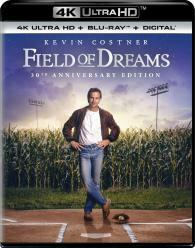 You can find the latest specs for Field of Dreams - 4K Ultra HD Blu-ray linked from our 4K Blu-ray Release Schedule, where it is indexed under May 14.